The public outcry over the George Zimmerman verdict is resounding in echoes of shock, anger, pain, and protest across the country! 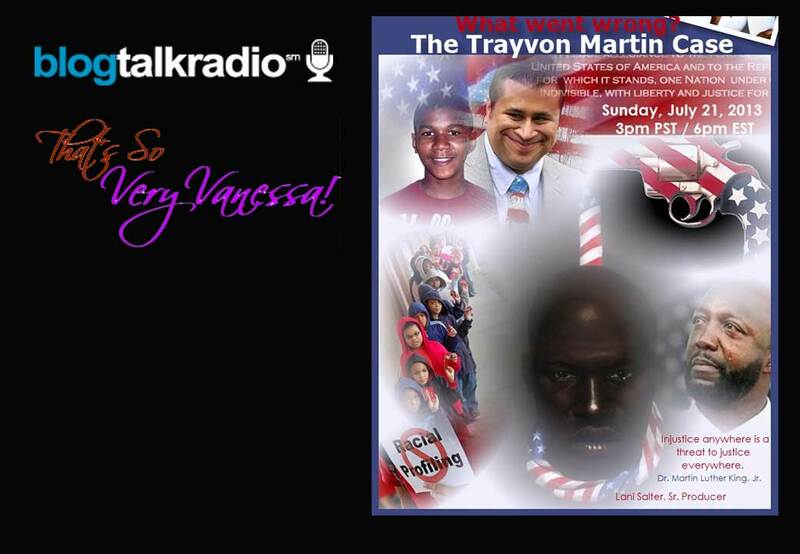 Attorney Tanya Young-Williams, KTLA Legal Analyst and HLN panelist for The Jane Valez Mitchell Show, weighs in on the TRAYVON MARTIN case and the aftermath of the Zimmerman acquittal this Sunday on That’s So Very Vanessa! BlogTalk Radio.